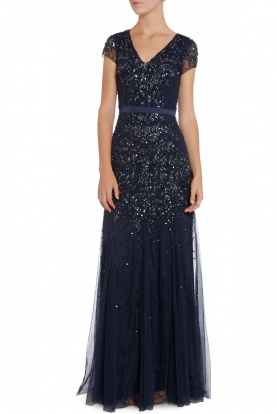 Show your elegant sense of style in this stunning Cameron Blake 218616W evening gown. A beautifully hand beaded wide V-neck portrait collar and slight cap sleeves frame the fitted bodice adorned with princess lines for a flattering fit. 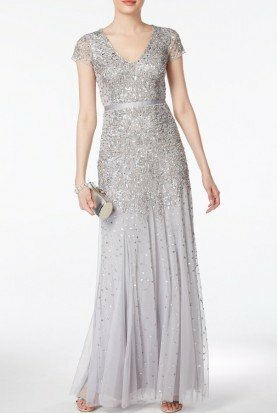 This gown boasts an a-line silhouette which cascades to the floor and finishes with a sweep train. 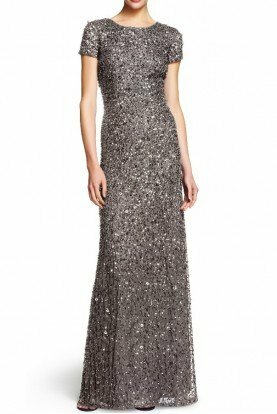 This Cameron Blake masterpiece is ideal for a red-carpet gathering. Model is wearing Smoke color.